I’m trying to understand where the line is between political correctness run amok, and legitimate claims of racism. A recent news story reported that members of a mostly black women's book club said a luxury Napa Valley wine train kicked them off because of their race. Okay. So I did a little research. The fact is that Napa Valley wine train kicks off a group every month (on average) for being too rowdy. Think about it. People drinking booze and partying. I’m not saying any of the women were drunk. I don’t know that. But, according to the story they were warned multiple times to keep their hilarity down to a low roar because they were disturbing other passengers. Getting kicked off the Napa train is not an unusual circumstance. However, this group of mostly black women are claiming they were kicked off because of their race. If that isn’t playing the race card I don’t know what is. In the tense atmosphere of racial accusations of injustice, Americans are divided on what to do to make things better. 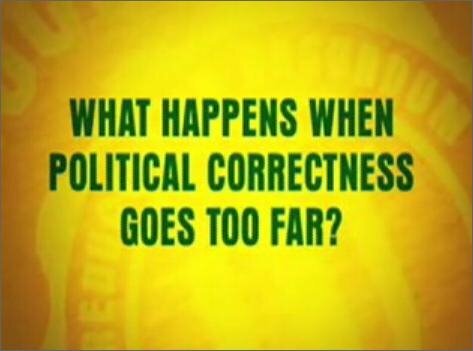 One of those camps is all about political correctness gone wild. They play the race card regardless of the situation. That camp is a problem for everyone. Legitimate accusations against authorities and racists are watered down by those who chose to take advantage of certain situations to benefit themselves – or make themselves appear to be innocent victims of racism. My problem is trying to figure out who is taking advantage of being black, and who isn’t. If you have a formula for figuring this out, please share it with me.